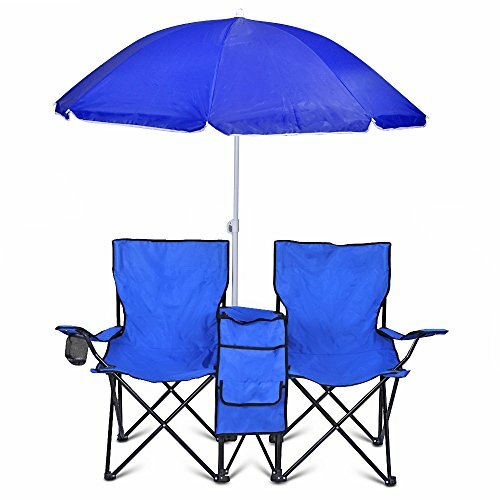 This Folding Outdoor Chair with Removable Umbrella is ready to use at the park, at the beach, in your backyard, or at your camp site. It features sturdy steel frame construction, a removable / adjustable umbrella, beverage holding compartment for your small belongings, and a thermos to keep your beverages cool. This chair opens and folds closed in seconds! It's made of sturdy nylon and comes with a handy carrying case.